Password I've forgotten my password. Biotherapy™ Skincare is an excellent everyday face and body soap. People with problem skin love it. It contains essential oils of tea tree, palmarosa, lavender, geranium, patchouli, and vetiver. The soap is pleasantly scented, perfect for dry or oily skin. We put two other beneficial ingredients in Biotherapy Skincare. Jojoba oil, a noncomedogenic moisturizer, will soften your skin without clogging your pores. Pulverized oatmeal will soothe and tone your skin. Use Biotherapy Skincare to wash regularly. Don’t forget good nutrition, exercise, and a doctor’s care when necessary. 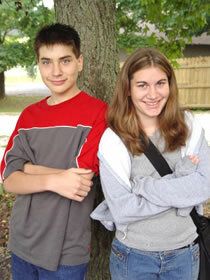 Teens like Biotherapy Skincare for their skin problems. “Though I keep trying different soaps, the one I use the most is the Biotherapy Skincare. I’ve had acne since I hit puberty, and now that I’m nearing 30 I’ve finally found something that really helps. After a little over a month of use on my face, I’m almost completely clear! I’ll never use anything else on my face again. My roommate uses it head to toe... literally. She uses it as a shampoo as well, and it has nearly rid her of a nasty patch of psoriasis she has had at the hairline on the back of her neck for years now. The soap has a light, almost lemony scent that doesn’t overpower you, but just leaves you feeling and smelling clean and is never the slightest bit harsh. “I just wanted to say that I am so glad my mom introduced me to your Biotherapy Skincare! I am 5 months pregnant, and was my skin on the fritz! Nothing was working. My mom told me about the Biotherapy and I thought I may as well try it out, but wasn't very optimistic; after all, I had tried so many topical solutions already. How wrong I was! The Biotherapy cleared up my skin within 2 weeks and has been working ever since. I love it!! Thank you so much for putting out such a great product. With all the weight gain, mood swings, and hormones a pregnant woman goes through, at least I know I don't have to worry about my skin any longer! Also available with activated charcoal in Biotherapy Black Soap. For an exhilarating scrub, try our Biotherapy Black Luffa Soap. 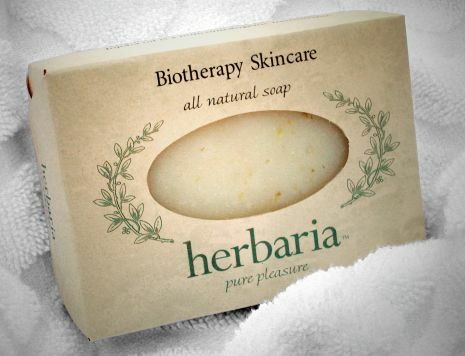 If you like Biotherapy Skincare soap, try our Biotherapy™ Beauty Collection. We absolutely guarantee your satisfaction.